Food Buckets or Chicken Buckets! For those with large appetites, food buckets are perfect! 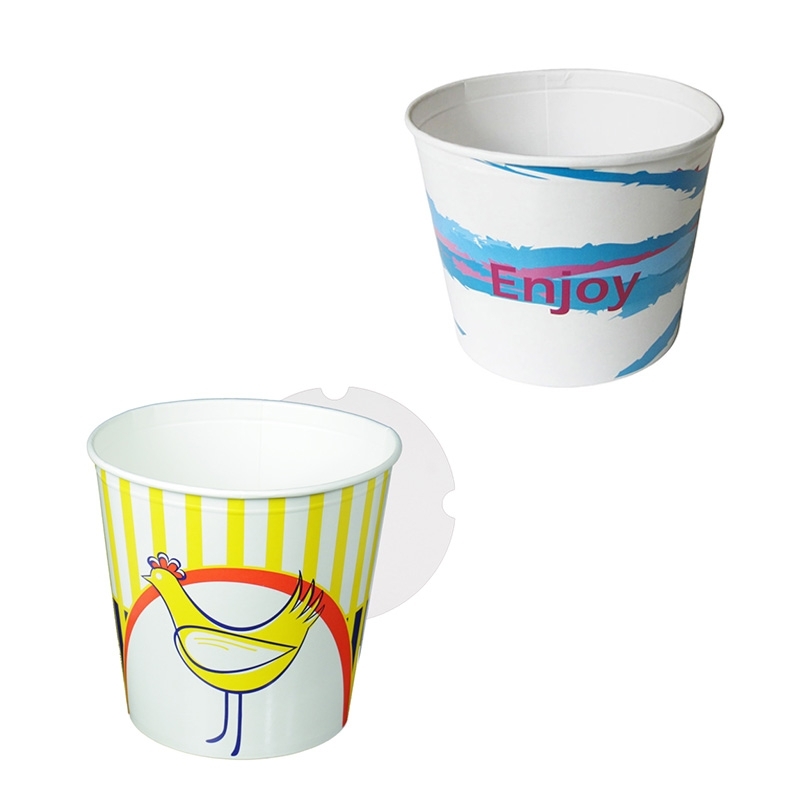 Our chicken buckets or hot food containers are made from food grade coated paper for grease-resistance, which makes them great for take-out applications. The paper buckets come with compatible lids to help lock in heat to keep contents at desirable serving temperatures during transportation. Food buckets printed with your logo!